Welcome to the BPS Belgian Physical Society website! The Big Bang Day, in honour of Professor Georges Lemaître, will take place on Thursday, 23 May 2019. The programme of the Big Bang Day starts in Louvain-la-Neuve with the official opening of the Big Bang Route. This route is a thematic sustainable, educational and touristic cycling track developed by the sister universities UCLouvain and KU Leuven, the cities of Leuven and Ottignies-Louvain-la-Neuve, as well as the provinces of Brabant-Wallon and Vlaams-Brabant. Registration and Abstract submissions are open for the 2019 BPS Annual Scientific Meeting which will take place at ULB on May 22. All the information can be found at the BPS 2019 Conference page. Each parallel session will also feature prestigious invited speakers, and do not forget to participate to the various contests (see the full program here). Since a couple of days the BPS has a new website. Please visit it and give us your feedback ! Although we tried as much as possible to limit the inconveniences inherent to such a move, we ask every BPS member (who was already registered via the old BPS website) to reset his/her password through this page. Doing so will allow you to fully benefit from the new website: you could then handle your subscription, access the BPhy magazines, etc. You should encounter any issue with the new website, do not hesitate to contact us. The new website aims to be more dynamic, and to forward more easily any information related to physics in Belgium, so please, do not hesitate to send us any news, job openings, etc. you would like to be advertised on the BPS website. Leden van VeLeWe kunnen gratis lid worden van BPS. Dit door zich aan te melden op de website van BPS (zie : https://www.belgianphysicalsociety.be/users/signup). VeLeWe kan beroep doen op de expertise van leden van BPS (academici, industrïen...) om lezingen en/of workshops te geven. Leden van VeLeWe, die lid zijn geworden van BPS, kunnen gratis de symposia van BPS bijwonen en kunnen interessante informatie vinden op de website van BPS. Leden van VeLeWe, die lid zijn geworden van BPS, kunnen gratis deelnemen aan de General Scientific Meeting, die dit jaar plaatsvindt op woensdag 22/05 op de campus van de ULB. Gedetailleerde informatie zal tegen eind januari beschikbaar zijn op onzde website. In de namiddag houden we steeds een sessie ‚"Physics and Education" (duur :2 -3 uur) met de bedoeling aan leraars fysica informatie te bezorgen over moderne topics in de fysica, experimenten voor de klas, leermethoden, enz. De General Scientific Meeting is met opzet op een woensdag gepland om zoveel mogelijk geïnteresseerde leraars in staat te stellen deel te nemen aan deze namiddagsessie. In zoverre mogelijk worden de leraars ook sterk aangemoedigd deel te nemen aan de Plenaire Sessie in de morgen, met dit jaar weerom twee internationaal gerenommeerde sprekers: Prof Amit Abderraim SCK-CEN, Mol over het belangrijke MYRRHA project (verwerking van langlevend nucleair afval door een kolossale reductie in de halfwaardetijd) en Prof. Vladimir Tikhonchuk (Extreme Light Infrastructure, Praag en Laser Megajoule, Bordeaux) over de fysica van materie bij extreem hoge dichtheden en toepassingen op dit gebied met extreem hoogvermogen lasers. 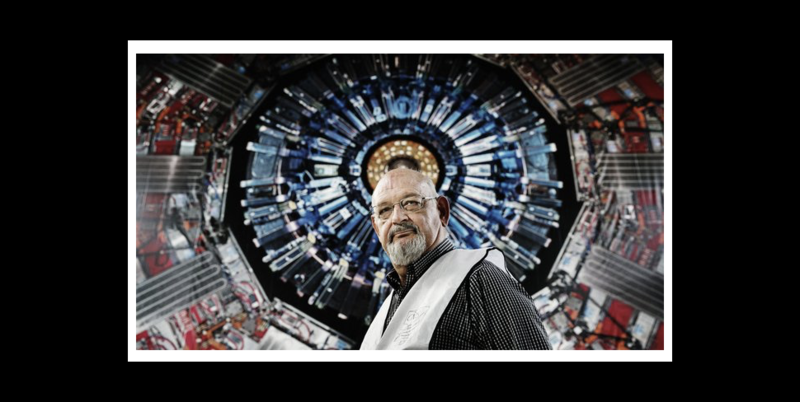 Symposium led by Walter Van Doninck - former Vice President of the CERN Council and Thinker-in-Residence at the Royal Flemish Academy of Belgium for Science and the Arts (KVAB). CERN is a role model for international scientific research in Europe and beyond. This symposium will offer both a general introduction to CERN as well as a Belgian and Flemish perspective. What is the legacy of CERN for mankind? What is its scientific and industrial return for Belgium? What discoveries and technological improvements await in the future? National and international scientists reflect during the symposium resulting from the KVAB Thinkers' Programme ""Flanders, Belgium and CERN"" with Walter Van Doninck. Participation is free of charge but please register in advance for this full day symposium that includes coffee breaks, lunch and reception.